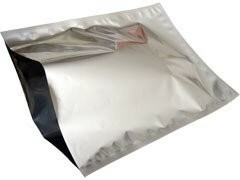 Mylar bags are popular for their good puncture structure, outstanding barrier, and relatively low cost characteristics. Thickness of bag is 4.3 Mil. USES OF PRODUCT: Food Storage, Collectibles, Coins, Antiques, Watches, Hearing Aids, Electronics, Shipping, etc.